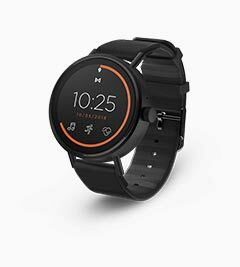 Misfit is an innovative smartwatch brand founded on the idea that fitness-focused wearables should be as stylish as they are practical. Our story began in 2011 when we launched Misfit Shine, a design-focused fitness & sleep tracker that made it easy to covertly track your steps and daily activity without ever sacrificing style. 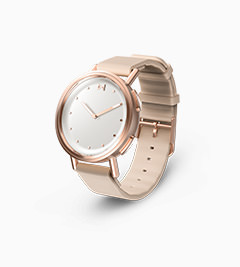 Misfit Shine was followed shortly thereafter by Misfit Shine 2 and Ray, a sleek, minimalist fitness tracker that was the perfect fusion of technology and style and integrated perfectly into people’s lives and wardrobes. Our story evolved with the introduction of our hybrid smartwatches, Misfit Phase, Command and Path and our sleek touchscreen smartwatches, Misfit Vapor and Misfit Vapor 2. 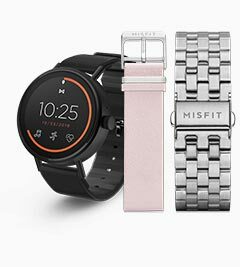 Today, Misfit’s focus is entirely on smartwatches that are designed to fit seamlessly into your life and help keep you connected, on top, and in style, wherever life takes you. Ring your (temporarily misplaced) phone, receive smartphone notifications, track your activity and sleep, snap a selfie, and so much more, right from your wrist. Our smartwatches are here to streamline your everyday life so you can focus on what matters and make the most of your time. 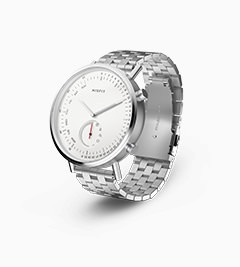 Looking for all the power and connectivity of a modern smartwatch but the sleek, iconic style of a classic analog watch? 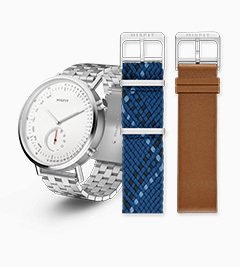 We've got you with our Hybrid Smartwatch collection, which bring together the best of both worlds. Seamlessly track your activity and light + restful sleep, set goals, receive vibration notifications, create smart alarms and movement reminders – or go a little rogue and check the time, just to… well, know what time it is. 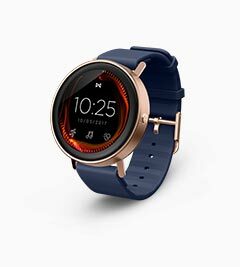 If you're looking for something with a little more tech but still a lot of style, Misfit Vapor 2 is probably the right fit. 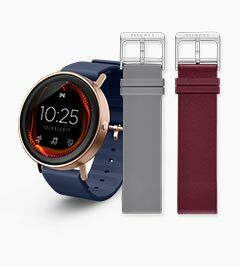 Powered by Wear OS by Google, Vapor 2 provides users with an elevated smartwatch experience boasting new features such as two different size options, new & improved heart rate tracking, standalone GPS, and NFC support. 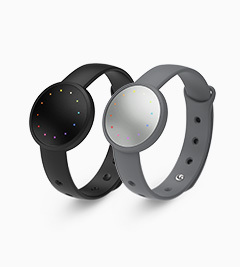 Misfit Vapor and Misfit Vapor 2 both feature a built-in music player, 4GB of storage, an upgraded and redesigned optical heart rate tracking experience, swim-proof design, and all-day battery life and are the perfect companions to help you conquer your everyday. When Misfit first launched we found in no time at all that athletes were not the only ones interested in fitness wearables. Staying on top of fitness goals regardless of age or fitness level was and remains important to a whole lot of people—at all stages of life. From school teachers to accountants and students to grandmothers, getting “their steps in” became a tangible goal with the help of our wearables. It even became a way of uniting people, creating a little friendly competition. We’ve found that when we make smart technology an accessible and convenient way to meet fitness goals—people will feel empowered to take charge in their own way. Further, everybody has different focuses. Some of us may be interested only in fitness goals while others are interested in fitness goals as well as receiving notifications from their phone while they're at the gym. The choice is completely personal. 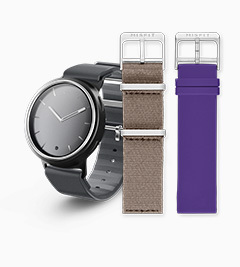 We’ve tailored our activity trackers to address the needs of everyone. Each has slightly different features or the same features in a different presentation. Sports bands are necessary at the gym and in the pool, but for those that don’t want to take their wearables off for a night out, we have options. 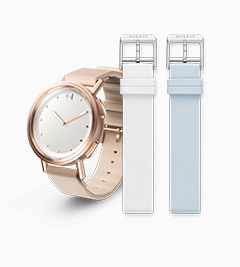 Whether that’s the Swarovski collection, or the sleek, modern collection, your Misfit device can be changed in and out of different options to adapt to whatever events life throws your way. And we mention so much about bracelets, but we’ve also designed pendant options for your device as well. 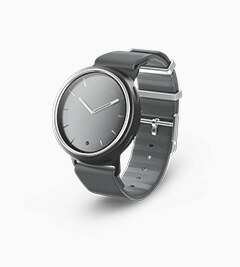 Smart technology has helped Misfit make a lot of things possible. Some of you have your fitness routine down, and you’re happy with that, but you wonder why you’re just so fatigued. The answer could be in how you sleep. We introduced the Beddit device, a paper-thin device so as not to interrupt your natural patterns that is placed on your mattress and interfaces with an app on your smartphone. Now you can really find out what happens while you’re sleeping. Beddit measures total sleep time, sleep cycles (deep and light duration), awake times, heart rate, and ambient sound and snoring. Along the lines of sleeping, we also introduced Bolt, wirelessly connected smart light bulbs. With the ability to set it to your alarm, Bolt light could be your gentlest wake up “call” ever. Bolt light bulbs connect and are controlled from your smartphone to create any kind of mood lighting you want. Much like our loyal following, Misfit started out of the gate running and we haven’t stopped yet (and don’t plan on it). Finding new ways to make smart technology make the lives of our customers easier and more motivated will always be our motivation.